AMAPOLA BLOSSOMS FLORISTS, FLOWERS in Prince George, BC has floral arrangements and gifts perfect for special occasions, but sometimes you don't need a reason to remind someone you care. That's why we think "Just because" is one of the best reasons to say: "Thank you" "I'm sorry" "I love you" "Hope you're having a good day" "Hope you're having a better day" "Good luck" "Congratulations" "I miss you" "I wish I could be there" or "Forgive me." Browse our sample selection at AMAPOLA BLOSSOMS FLORISTS, FLOWERS in Prince George, BC and order online or call us to place an order "Just because." Roses have always been the traditional way to say "I love you," and what better time to say those special words than on your anniversary? AMAPOLA BLOSSOMS FLORISTS, FLOWERS in Prince George can help you send roses, or any other anniversary flower arrangement you think your sweetie would like. We want to help you make the most of your gift, tell us all about your significant other and we can create something one-of-a-kind, just for them! Forget an anniversary? Let us help you get out of the doghouse with a bouquet of her favorite blooms! A birthday is like a special holiday dedicated to a single person. Everyone buys gifts, eats cake, sings songs and celebrate in their honor. Wish someone a happy birthday with flowers just for them! AMAPOLA BLOSSOMS FLORISTS, FLOWERS can help you send the perfect birthday flowers for anyone, whether it's here in Prince George, or across the country. There's nothing better than a surprise flower delivery on your birthday to put you in the mood to celebrate. Saying "Congratulations!" is always better with flowers, especially when welcoming a new baby into the world. 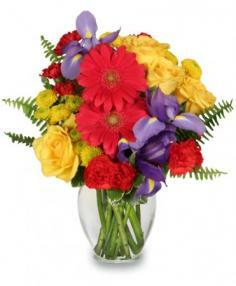 Let us hand deliver a very special arrangement of baby flowers to the proud parents. Why stop at only flowers, we have a wide variety of toys and gifts available for new babies, mommies and daddies. AMAPOLA BLOSSOMS FLORISTS, FLOWERS in Prince George can create a unique, new baby gift basket just for the growing family. 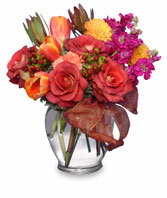 Let AMAPOLA BLOSSOMS FLORISTS, FLOWERS of Prince George, BC help you send get well wishes to your friend or loved one. 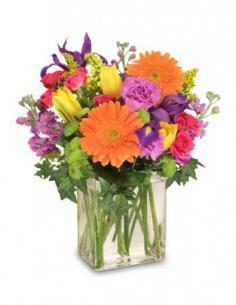 Show them how much you care with a get well gift basket filled with a floral arrangement or customized get well gifts. A basket filled with snacks, bath products, unique jewelry and accessories, or a favorite stuffed animal is a great and easy way to cheer up a loved one. Top off your personalized gift with a fun balloon bouquet. Wanting something a little more traditional? There is no better or simpler way to remind someone that you're thinking of them than with get well flowers from AMAPOLA BLOSSOMS FLORISTS, FLOWERS. Scroll down to browse and order online from our sample selection of get well flowers and plants or call to customize a gift for that special someone. Let AMAPOLA BLOSSOMS FLORISTS, FLOWERS of Prince George, BC help you wish a loved one a "Get well soon". Show them the tassel's worth the hassle! Celebrate your favorite grad by sending graduation flowers to your favorite Teacher, Principal or your Best Friend from AMAPOLA BLOSSOMS FLORISTS, FLOWERS in Prince George, BC. Whether it's roses, the class flower or any other arrangement, we can help you make this special occasion even more memorable. Need to send flowers out of town? No problem, let us help! Getting fresh flowers is always memorable and special for your recipient - regardless of their age. Featuring brightly-colored blooms like fuchsia gerberas, yellow roses and purple iris, this bouquet has just what it takes to bring some fun and show how much you care! 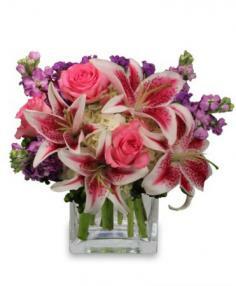 Order your Back To School Flowers fromAMAPOLA BLOSSOMS FLORISTS, FLOWERS. AMAPOLA BLOSSOMS FLOWERS : ROSES, FLOWERS, FLORISTS, GIFTS, CHOCOLATES, GIFT BASKETS - PRINCE GEORGE, BC FLORIST. Order Prince George BC Fresh Flowers directly from AMAPOLA BLOSSOMS FLOWERS.BEAUTIFUL ROSES AND FLOWERS from well established Florist in Prince George BC. Order Gorgeous Large Premium, "ROSES", that stand out and make your day precious with an everlasting memory from AMAPOLA BLOSSOMS FLOWERS: ROSES FLOWERS GIFTS FLORISTS. "Get Well Flowers Prince George BC - AMAPOLA BLOSSOMS FLORISTS, FLOWERS, ROSES, FLOWERS & GIFTS, ROSES & GIFTS. Order Get well Flowers to cheer the Day. 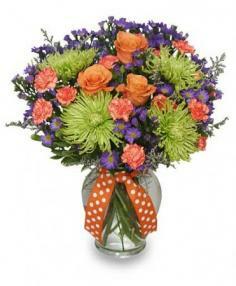 Get on a Happy Face Flower Bouquet for your loved one and wish them Get Well Soon! from AMAPOLA BLOSSOMS FLORISTS Your Local Prince George BC Florist and Flower Shop. Prince George BC Get Well Flowers.